Filipino movies have garnered such a bad reputation lately. It might have something to do with the low budget romantic comedy, action and drama movies we have produced for the past decade or two. Although I believe in that, I would also have to stress out that it must be because the stories we have been producing are lacking in substance. The really good films are rare and I have no idea where they can be found. After watching On The Job, a film by Erik Matti, I felt really proud. Watching a Filipino movie never felt this good. The story was brilliant. For me, it was an immersive experience of how dirty and corrupt our system is. The story was inspired by true events. I feel sad that this film is not getting that much buzz locally. Our local cinemas only screened it for a week. Fortunately, they decided to give it a rerun because of popular demand. That was why I got the chance to see it. I'm glad I did. This is the kind of movie Filipinos have to be proud of. The actors, even the ones that only had a few minutes of screen time were really good. The story was very well written. It made me think deep and ask a lot of questions. That is a good thing. It makes the movie even more memorable. The story stuck with me even after I left the cinema. By the way, because of its brutal and intense action scenes, my girlfriend was a bit traumatized by the movie. Seriously. I had to kind of calm her down to get her back to reality. It was a heavy movie indeed. And, I could not stress enough how good it was. 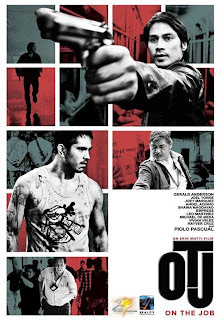 It set a high bar for Filipino action films (or feature films in general). I just wish we had more movies like this.